Styling - Since the launch, there have been very little changes in the styling of the Royal Enfield Himalayan. 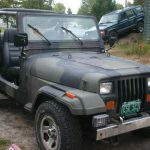 Here, we have the Sleet model which has a camouflage finish on the body panels. As the aesthetics go for adventure off-road motorcycles, the body panels are very few. Long travel suspension and spoked wheels add more to the off-road nature of the bike. While the traditional round headlamp is mounted straight and the motorcycle gets a high raised handlebar. The Himalayan also gets a metal skid plate for a more rugged feel. 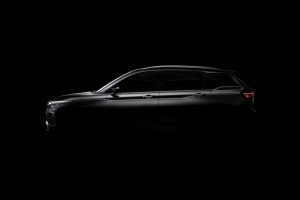 While all the lights are halogens, the Himalayan, as well as the GS, get LEDs only in the tail-light. 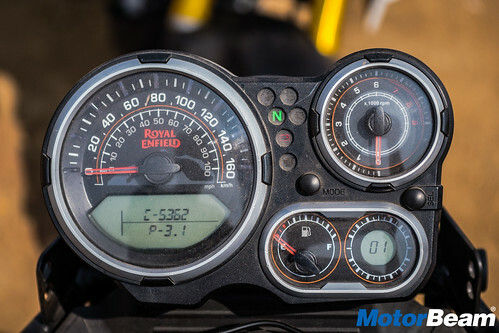 Instrument Cluster and Switchgear - The instrument cluster on the Himalayan is an analogue-digital unit while it is the most advanced unit we've seen on a Royal Enfield. It displays a ton of information and has a compass too. The cluster has text and details all over and it goes very well with the design of the bike. The text is slightly small and feels cluttered but it's easily readable once you get the hang of it. The switchgear quality is also decent but does not feel up to the mark. The BS3 version had a hazard light switch too which has been taken off in the BS4 model. 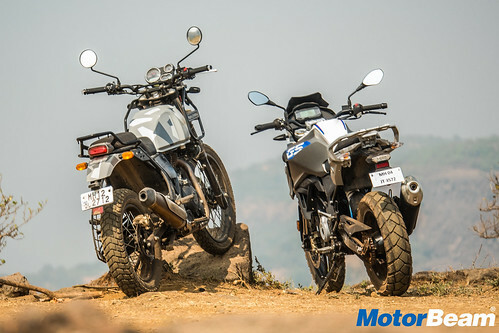 Ergonomics - Both the motorcycles have an upright riding posture but the GS has 35 mm of extra seat height while the Himalayan has a taller setup for the handlebar. 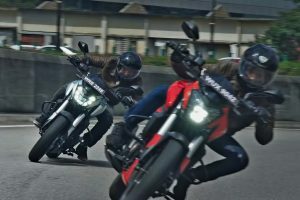 So the rider sits very upright on the Himalayan while the posture is slightly leaned on the GS as compared to the Himalayan. Also, shorter riders would love the Himalayan more than the GS as it is more accessible and comfortable. But taller guys would like the GS as it has a wider and better seat setup for the rider as well as the pillion. The seat cushioning is still better on the Himalayan. 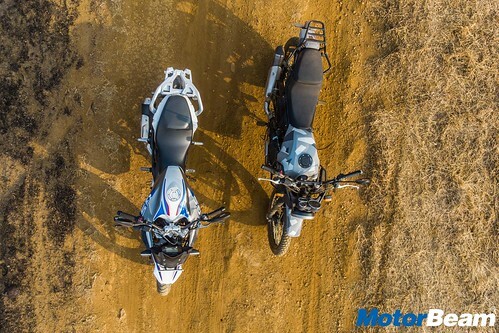 The rear-view mirrors on the Himalayan are just useless while that on the GS are better as they are handlebar mounted and do give a better view of what's behind. 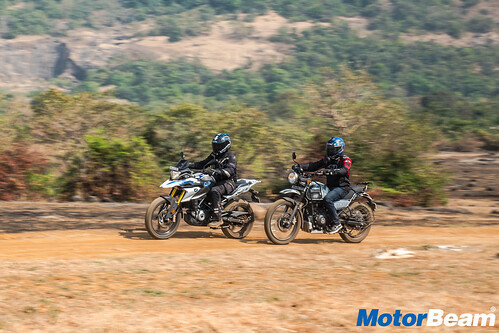 Overall, the GS feels more composed while the Himalayan feels purposeful. 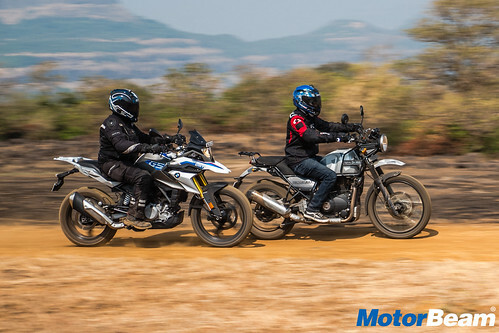 Performance - If we compare the numbers, the BMW G 310 GS is more powerful but the Himalayan is more torquey. 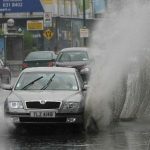 And in off-road riding conditions, torque always comes in handy. 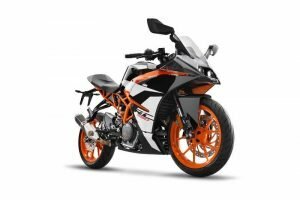 But if we talk about touring capabilities, the GS can do triple-digit speeds in a more comfortable manner than the Himalayan. The 411cc motor has a very good low-end and mid-range. But the BMW's 310 has a better top-speed and redlines way quicker than the Royal Enfield. 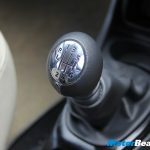 The gearing feels taller on the Himalayan and hence the 5-speed unit does the job just as well as the 6-speed unit on the GS. While the motor on the Himalayan is air and oil cooled, the reverse inclined engine on the GS is liquid-cooled. 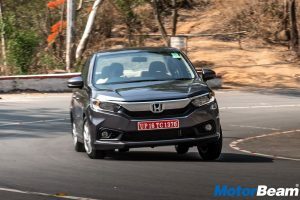 But in the complete test, we could feel more heat being passed out from the GS as it has a slightly higher compression ratio than the Himalayan. 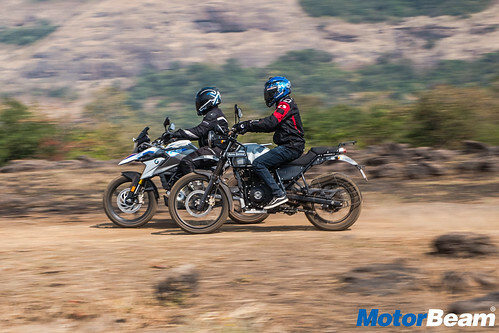 During the complete test on-road as well as off-road, the G 310 GS returned a real-time fuel efficiency of 24 km/l while the Himalayan returned around 21 km/l. 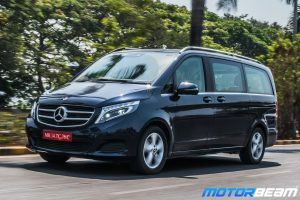 The tank range becomes almost the same as the Himalayan has 4 extra litres than the GS. 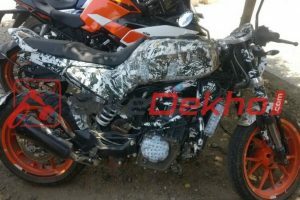 Both the bikes don't get a slipper clutch while the clutch action feels light on the GS, it is quite heavy on the Himalayan, the gear shifts are also better on the GS. 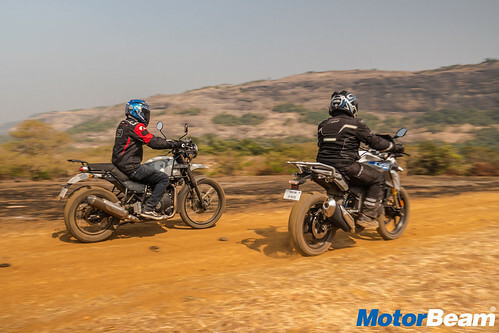 The exhaust note, however, is better on the Himalayan even at idle or going all-out. 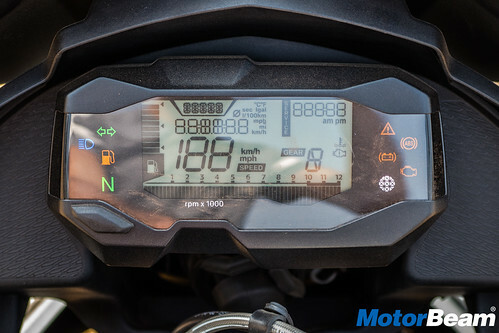 NVH levels on both the motorcycles are pretty decent and both the motorcycles have vibrations creeping in at higher revs. With the extra plastic panels, the GS is more prone to vibes. Riding Dynamics - The G 310 GS and Himalayan have a tubular chassis setup but the BMW steel frame is more rigid than the duplex-cradle on the Royal Enfield. 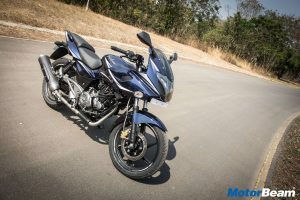 The GS stays lighter than the Himalayan even after being bulkier. 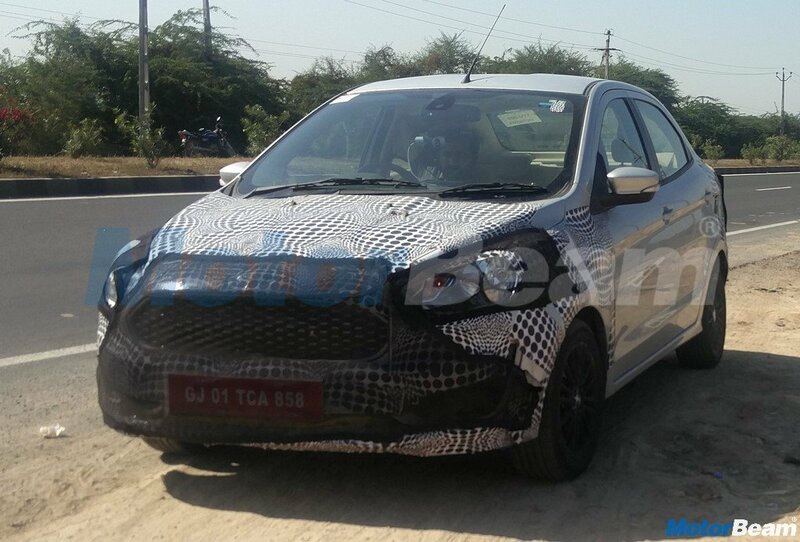 The weight difference is more than 12 kgs and it makes quite a difference in the dynamics. 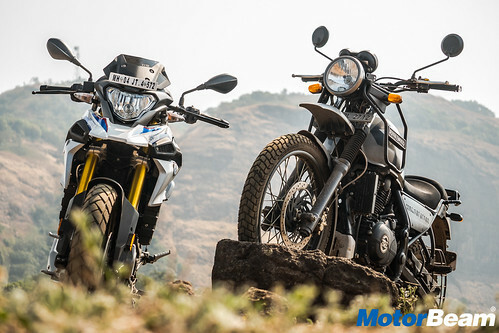 Riding on the tarmac, the GS leans and flicks almost like its street-fighter sibling while the Himalayan is slow to respond. 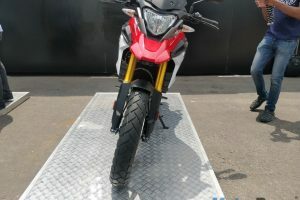 Straight-line stability is also better on the GS as compared to the Himalayan, thanks to the 41 mm USD forks at the front. 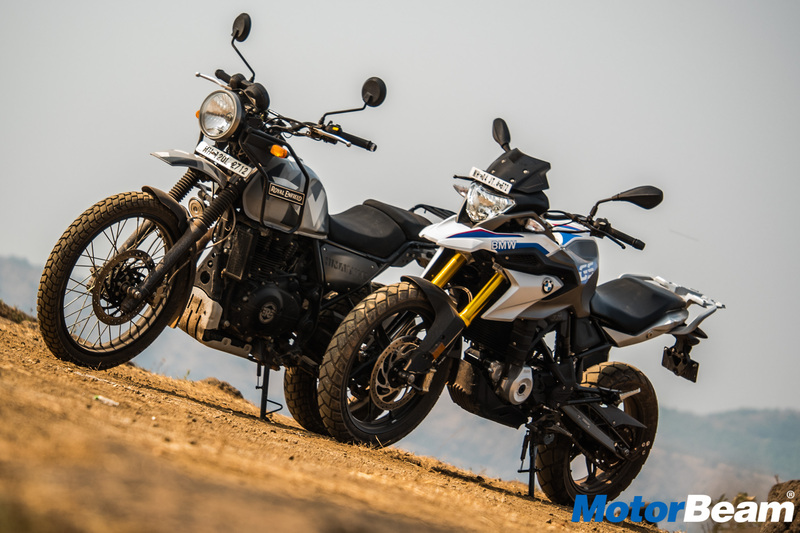 The suspension setup is soft on both the bikes and both have a commanding feel while riding but the GS is more suited for road riding than the Himalayan. Once off-road, the true colours of the Himalayan show up as the suspension setup and the tyres give it more confidence to go hard and fast. 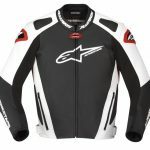 The extra weight also helps to keep the bike down and the lower seat height makes it more comfortable for shorter riders to get the perfect off-road riding posture. The Ceat rubber on the Himalayan is thinner but the tread is deeper making it more usable. 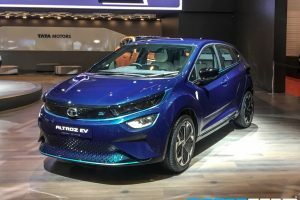 It also gets a larger 21-inch tyre making it an easy go on all possible surfaces. 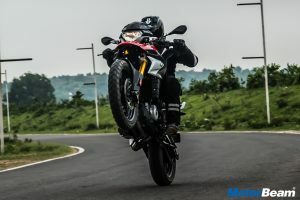 The GS, however, gets Metzeler dual-purpose rubber which is wider but does not have a deep tread which is more suitable for Indian road conditions. However, the GS has a more lockable posture for stand-up riding too but the Himalayan is sleeker and feels immediately confident off-road. 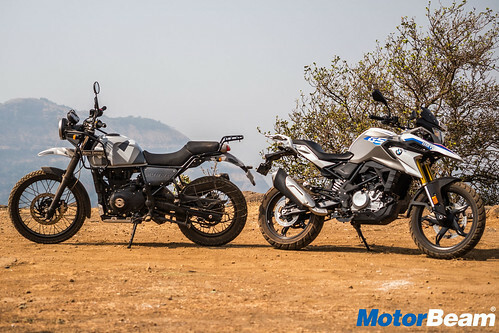 Verdict – The BMW G 310 GS is exactly double the price of the Royal Enfield Himalayan. While the Himalayan is purposeful and practical, the GS is premium and attractive. Royal Enfield feels rugged and has a 'can do anything' attitude but the BMW isn't left out as it gives the best of both worlds. 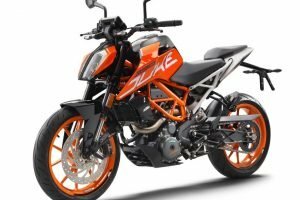 It is a mild off-roader while a brilliant motorcycle on the road. 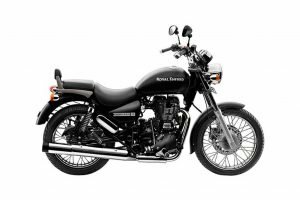 If the budget permits, with the extra money you can buy another Himalayan or else invest it in a premium brand. The winner of the shootout is clearly the Himalayan as is offers a lot more at half the price. 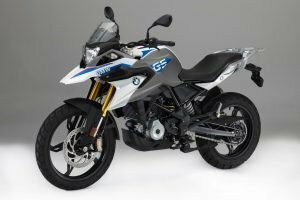 But if someone can afford and would like the jazz of a premium brand, the BMW G 310 GS is a great motorcycle to buy under Rs. 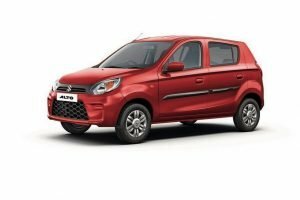 4.5 lakhs! 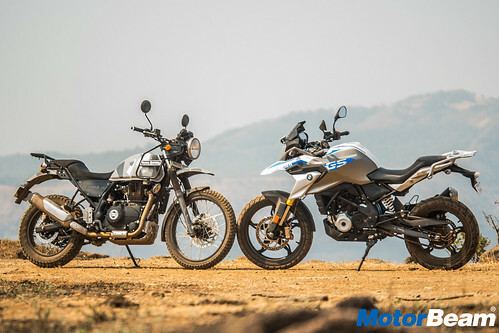 "Ride both these motorcycles back to back and while the Royal Enfield Himalayan surely will impress you with its ride quality and off-road ability, it's the BMW G 310 GS which will truly put a smile on your face for it is just the better engineered product here. 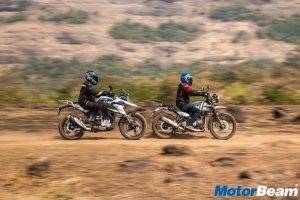 Faster, smoother and with better hardware, the GS might not be a true BMW but still feels a lot better than its rival here, but at twice the price, the Himalayan simply shells out unbelievable value for the money." 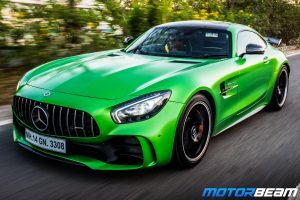 - Faisal Khan, Editor, MotorBeam.